Hugo nominations are now open... but they will close at the end of the month. I finally received my PIN number from MidAmericon II, so I am busy filling out my ballot. If you're eligible to nominate, you should do the same. No good reason to put it off till the last day, even if you have not finished your reading. Fill in the things you know you want to nominate now, today, this minute. You can come back and add more, or delete, or replace, or change later on. As many times as you want. The nominations won't count until the ballot is closed. As to what to nominate... your call entirely, of course. I have been sharing my own thoughts and recommendations here in a series of blog posts, all of which you can find downstream by going back to "older posts." Been doing that category by category, wherever I had something to say. (Which does not include every category). Today I wanted to say a few words about the three short fiction categories. Short Story, Novelette. Novella. Three of the oldest and most storied categories, with a distinguished lineage dating back to the days when the magazines were the heart of the field, and short fiction was still the place where the rising stars of SF and fantasy broke in and made their names, competing with the giants of previous generations for these prizes. That's less true now than it used to be... but there's still some validity to it, and the three short fiction categories remain, to my mind, among the most important and prestigious Hugos. (I should say right here that I cannot pretend to be objective about these categories, since I am a past winner of rockets in all three of them. It is only the Big One, the novel, that has eluded me). Last year, however, these three categories were among those most impacted by Puppygate. The slates dominated all three, sweeping the board and shutting out all other work. In the novelette category, a disqualification allowed one non-Puppy nominee to squeeze onto the ballot, and that story ultimately won. In novella and short story, fans unhappy with the choices presented them voted No Award. Understandably, IMNSHO... still, it was not a happy ending. There was some wonderful and powerful work published in these categories in 2014, and it was a shame that none of it could be recognized. (I was proud and pleased to present Alfie Awards to Ursula Vernon for "Jackalope Wives" in short story, and to Patrick Rothfuss for "The Slow Regard of Silent Things" in novella... but we all know that an Alfie is not a Hugo, and in an ordinary year both Vernon and Rothfuss would surely have been contending for a rocket). That's last year, however. No amount of rehashing can change what happened. The important thing is to see that it does not happen again. And to that end, it behooves all of us to nominate the short stories, novelettes, and novellas that we enjoyed most last year... to share our thoughts with our friends... to shout our recommendations from the rooftops. Let's make sure this year's shortlists truly represent the best of what was published in 2015. Ah, there I hit a problem. I am not making any recommendations in these categories. Problem is, I have a conflict of interest. As a writer I did not publish any original short fiction in 2015, true. 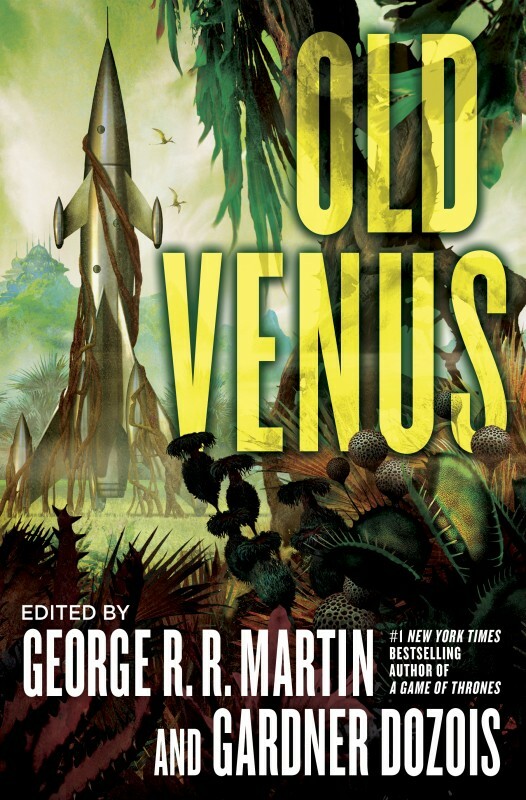 As an editor, however... well, Gardner Dozois and I co-edited an anthology called OLD VENUS that came out last year, and in my (admittedly less than objective) view, that book contained several stories that are worthy of Hugo nominations, and one that is so bloody brilliant that I think it stands right up there with any story that ever won the Hugo. I really can't tell you which one it is, however. Or the names of the other stories in the book that I think worthy of consideration. Look, Gardner and I liked all the stories we included in OLD VENUS. If we hadn't, we would not have purchased them (and we do reject stories for every one of our anthologies). But we'd be lying if we said we liked all of them equally. There are stories Gardner liked more than I did; there are stories I liked more than Gardner did; there are stories both of us loved, loved, loved. As editors, however, it would be unethical for us to say which were which in public. Just as parents need to maintain devoutly that they love all their children equally and have no favorites, it behooves the ethical editor to take a similar stance toward the stories they purchase and publish. So in the end all I can really say is that Gardner and I are both very proud of OLD VENUS, that we think there's some stuff in it worthy of your consideration, and that we hope you will agree. (And as long as I'm discounting, we'll also offer discounts on the hardcover WHEEL OF TIME COMPANION, signed by all its editors, and the trade paperback of THE MARTIAN, signed by Andy Weir. 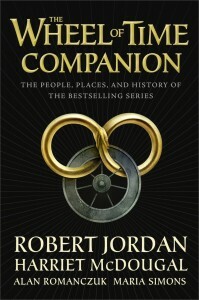 Weir is a leading candidate for the Campbell Award this year and THE MARTIAN is almost sure to be a nominee in Dramatic Presentation/ Long Form, while the WHEEL OF TIME book deserves a nomination in Best Related Work). Returning once more to the Hugo Awards and the three short fiction categories... yes, of course, there was plenty of great stuff published last year outside of OLD VENUS. And there are plenty of recommendation lists available on the web where you can find lists of what other fans, pros, and critics thought outstanding. Read. Discuss. And nominate, nominate, nominate. Off topic, I know, but... is there any chance for a Dreamsongs Vol. 3? I have read most of your stuff, but looking at your bibliography, there are still some short stories that I have missed. Mostly old ones, that are either hard to find, or I just can't afford to buy them all separately. It would be awesome if they were put together in a new collection. So, is there any possibility for a third volume of Dreamsongs? I may have another collection one day, but it won't be volume 3 of DREAMSONGS. still trying to get "old venus" and "old mars". I'm still trying to get those two titles in Argentina. Here people do not read, as in most of Latin America. No industry for that, makes me sick! Anyway, I'm hoping to have some more money to buy "song of ice and fire" in hardcover, and "the world of ice and fire" too. And George! I'm about to quit my job and set up a brewery. I have an idea going around, something personal that would be only for me and my friends: "The beer of ice and fire" seven beers representing the great houses of Westeros. I wish you could try someday. Greetings, go in your honor! PD: I don't know if you like beer, but you have to try the Martell! (A spicy and sweet recipe with pepper and honey) and the baratheon too! As Jon Arryn said before he died, "the beer is strong," has about 10% alcohol! Re: still trying to get "old venus" and "old mars". If you write to the Cocteau bookshop, they can probably arrange to send a set of OLD MARS and OLD VENUS to Argentina... of you're willing to pay the costs. But that's the rub. The shipping costs have become prohibitive. Shipping will cost way more than the combined cost of the two books. Sadly, the old low-cost international shipping options, like Sea Mail and M-Bag, have all been eliminated by the US Postal Service. As for your brewery... good look with that, but you can't name the beers after GAME OF THRONES. HBO has already licensed beer rights to a brewery here in the US. Sorry. For anyone trying to figure out which story was the "one that is so bloody brilliant that I think it stands right up there with any story that ever won the Hugo," it has almost got to be Botanica Veneris. This story got recommendations from Lois Tilton, SFRevu, and Rocket Stack Rank, plus it was chosen for four different "best of 2016" anthologies. It was the most-recommended piece of SFF short fiction of 2016, by far. Wow, time flies. It feels like the whole puppy mess was just a few weeks ago. I'll post a plug for China Miéville's "The Dowager of Bees", from Three Moments of an Explosion, about cards of unusual suits that turn up in desperate poker games. That was probably my favorite short story of 2015. 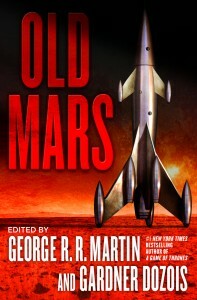 Thanks for the timely reminder that I've cruelly neglected to read Old Venus OR Old Mars. Given the travelling time from Edinburgh to the cinema bookstore, though, I think I'll pick them up for the Kindle! 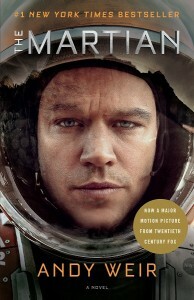 The Martian was such a good read that I ordered it in paperback version to give another spin. I like my kindle, but it just doesn't do a truly great book justice. I'll take a look at Old Venus, haven't been a fan of shorts for a while, but I enjoyed writing really awful ones when I was younger. I've running http://2015hugoart.tumblr.com/ to collect eligible Pro and Fan Artists. The collection tends to be biased toward a) art I find striking, b) artists whose work is easily found online, c) artists who date their work, so it's easy to tell what counts as "body of work for 2015". So, for instance, Stephen Youll (who did the cover for Old Venus) might be on the list, but his website is out-of-date and I can't find an image without the text. Michael Komarck, who you suggested, has a similar problem, compounded by a drastically incomplete ISFDB entry. It complements other lists by including stories from small/newer magazines. "The Pauper Prince and the Eucalyptus Jinn" by Usman Malik. "Waters of Versailles" by Kelly Robson. A bitter-sweet and occasionally humourus story about social climbing and finding out what's really important. Kelly Robson is also eligible for the Campbell Award. Beautifully written, I thought the plot slogged a little towards the end, but overall it's very good. "Another Word for World" by Ann Leckie, from the anthology "Future Visions". Leckie seems to never disappoint. A strong story about language, communication, and cultural differences, and about questioning one's assumptions. "The Servant" by Emily Davenport, from Clarkesworld. "Irindai" by Bradley P. Beaulieu, from the anthology "Blackguards"
"Pocosin" by Ursula Vernon, Apex Magazine. It's good for basically the same reasons Jackalope Wives are good. "Damage" by David D. Levine, tor.com. This story is thematically related to last year's nominee "Turncoat", but totally runs circles around it quality-wise. "Scream" by Anton Strout, from the anthology "Blackguards". I liked this primarily for one particular scene, a fabulous description of a painting and of the artist who painted it that is made possible by the protagonist's magical abilities. "The Customer is Always Right" by Anna Salonen, Mothership Zeta. A short and whimsical story that made me laugh out loud. I hope that Marietta Ren's Phallaina scores at least a nomination, because someone managing to do something so new around its chosen medium is rare and precious. Also, I'll be chucking a nom' at Hardhome, but great as it was, I don't think Game of Thrones stands too strong a chance this year. Not after Doctor Who produced one of its strongest episodes ever. No small feat, for a 60 years running series. I did enjoy Maisie's guest run, but I don't think any of her episodes can match "Hardhome" or "Mother's Mercy." Or a number of episodes of OUTLANDER, HUMANS, and PENNY DREADFUL, for that matter. "Heaven Sent". That's a hell of a bird. So, not one with Maisie. She was great in Doctor Who as she is great in Game of Throne, but that particular episode knocked it out of the park, the city, the state and then somewhere beyond. Have you seen it? I do believe that episode was "Heaven Sent" where Peter Capaldi absolutely killed it, however I agree that "Hardhome" would give it a run for its money. I'll speak up for "The Deepwater Bride" by Tamsyn Muir. It ran in The Magazine of Fantasy & Science Fiction in the July/Aug 2015 issue. This is a story that will grab you and charm you and enrich you whenever you get around to reading it, and it will keep, but if you wait you won't get a chance to nominate it in time. Oh hell, I'm gushing. I love the narrator/protagonist (a young woman, coming of age and coming into her family role as a prophet and recorder of events), I love her voice, I love the very prosaic modern setting, I love the way that both she and the townspeople react to some rather alarming events, and I love the eerie build-up and conclusion. This could probably get nominated as fantasy, as horror, and as YA, but I think it deserve a Hugo as well. The writing is at the perfect level of skillful without being distracting with writerly "look at my prose" elements. I suppose it couldn't have been written without Lovecraft having paved the way (there seems to be a powerful ancient undersea evil resurfacing), but it isn't pastiche or reboot or tribute or copy.